Nearby lightning strikes are one of the most common causes for a power surge to occur in your Phoenix home. When it happens too close to your home or strikes an area connected to the power grid, your electrical wiring, phone cabling, television and internet cabling, and networking cabling can experience a power surge which spikes the power and can fry your electrical devices including all your expensive appliances AND all your electrical wiring and components. Lighting isn’t the only cause of power surges however, something as simple as turning on your vacuum could cause a power surge within your Phoenix home, especially if the wiring isn’t sufficient for the power needs of the home. While most homeowners only have to deal with their electrical devices shutting off and restarting, there are many unfortunate homeowners who find themselves with ruined electrical appliances. This can also lead to having to deal with hundreds or thousands of dollars in electrical repair due to power surges. A huge problem with power surges is fire. Electrical panel boxes are installed to protect the home with breakers that trip when surges happen. But the panel box doesn’t serve as surge protection for your home unless surge protection equipment is integrated into your whole home electrical system. Over time, the panel box ages and needs to be upgraded. 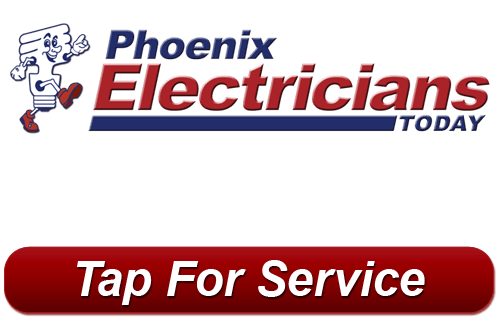 If your Phoenix home hasn’t had a panel upgrade in a while, it’s time to have your electrical system inspected. In order to protect your home, appliances, and electronics from power surges, you should have whole home surge protection. This system serves your entire home, not just a few devices. While some power strips and individual surge protectors can save some of your devices, a whole house surge protector will ensure that all of your home’s electrical appliances will be safe from any type of sudden power surges caused by natural or man-made causes. With surge protection for your Phoenix home, any spikes or electrical surges are stopped before they enter your home’s electrical systems. While home surge protection equipment may be more costly than the portable systems, you are protecting all your home’s appliances, electronics, wiring, components, lighting, and more. And even the portable power surges that really work can get expensive, especially when you think about all the outlets you’ll need them for and the phone, cable, and internet cabling. 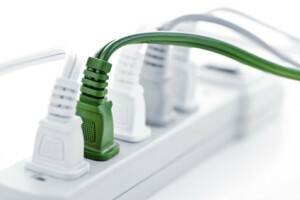 For the best option, choose a whole home surge protector installed by your local Phoenix professional electrician. If you have questions or want to find out more about whole home surge protection, call Phoenix Electricians Today for more information at 623-209-5244 or complete our online request form.